The save had been a rocky one for the veteran reliever, but Rick Lysander got it. "A bad hop, then some little dribbler through the middle," Lysander told The Daytona Beach News-Journal, outlining the rough patches. "If I can make them hit the ball like that all the time, I'd be happy." Lysander spoke to The News-Journal in November 1990, in the midst of his second season in the Senior Professional Baseball Association. After his first season, Lysander got another look at the minors, after four seasons away from the pro ranks. Lysander returned to the minors in 1990, pitching in 10 games for the AAA Syracuse Chiefs. In his first stint with the pros, Lysander pitched 11 seasons, starting in 1974. He also got time in the majors during four seasons. And his return in 1990 wasn't his only return. Lysander returned in spring 1995, playing replacement ball at the age of 42, finally ending his playing days. It was in 1974 that Lysander's career began, taken by the Athletics in the 19th round out of Cal State Los Angeles. He made AA Birmingham in 1975, then AAA Tucson in 1976. He didn't get his first look at the majors until 1980, debuting that April and getting into five games. He didn't return until 1983, with the Twins. He got into 61 games in 1983, going 5-12, with a 3.38 ERA. That was also the year Lysander managed to lose four games - in the span of six days. Two of those losses came on a single day, on both ends of a double header. His milestone win, his first, came early that April, working six innings of relief. "This is numero uno for me in the big leagues," Lysander told The Associated Press after the win. "It's been a long time, a real long time. A few nights ago, I got my first major league loss. Now all that's left is my first major league save." Lysander got three saves that year, and five the next. In 1984, Lysander went 4-3 for the Twins, with a 3.49 ERA. In late July, Lysander came in for the 10th inning, and picked up the win. "Being out there when the game is on the line is the essence of pitching," Lysander told The AP. Lysander returned to Minnesota for 35 more games in 1985, posting a 6.05 ERA. It was his last in the majors. 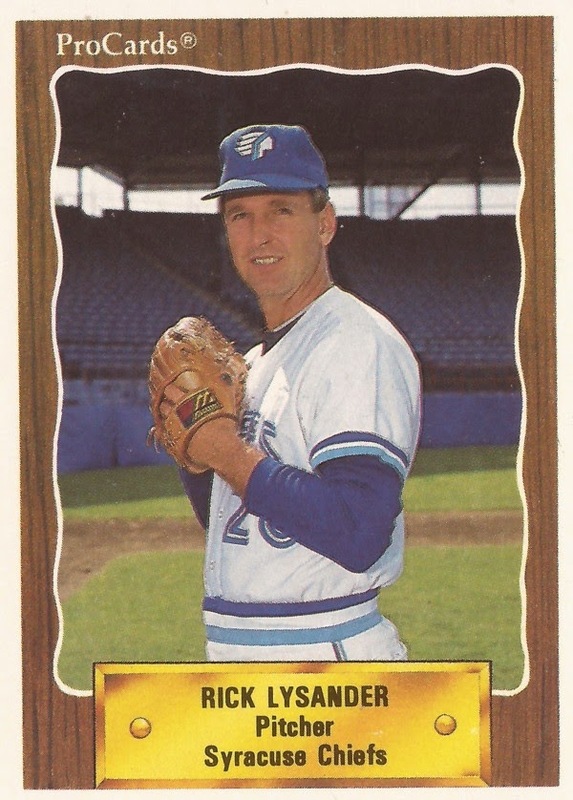 After his return in the senior league, Lysander had one last stint in the minors, at Syracuse in 1990, without making it back.